Underrated single, key 1960s Tiger star and cult favorite Norm Cash died in 1986 at only age 51. 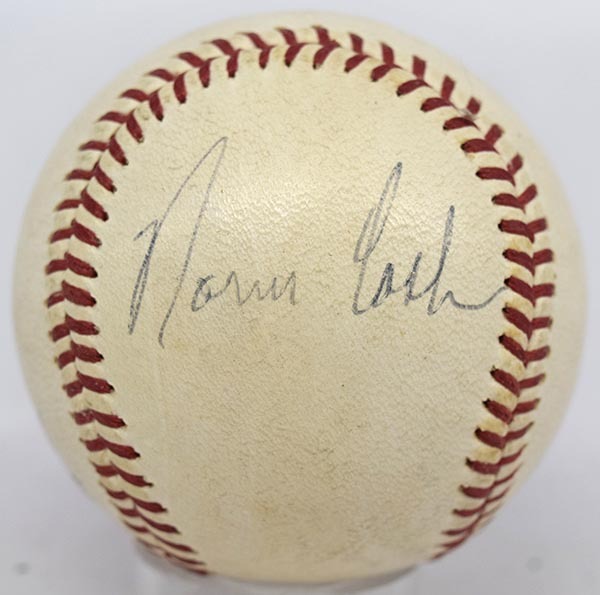 The offered ball is especially noteworthy as it was almost certainly signed by Cash as a player, likely in the early 1970s. The ball is a period Spalding Official Little League model. Cash signed this in large and clean black ballpoint ink on a side panel; the autograph contrasts very nicely against the ball itself. True vintage Norm Cash singles are rare.